This time I made pyjamas for my four years old son. The set contain short sleeve shirt and green shorts. 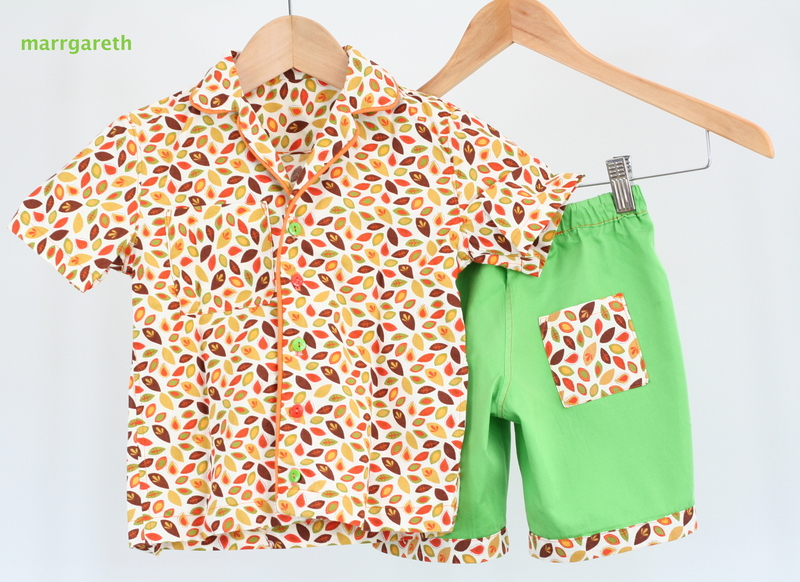 The green shorts are finished with wide hem that matches the shirt. The shirt has a pocket on the right side and two types of buttons: green and orange ones. 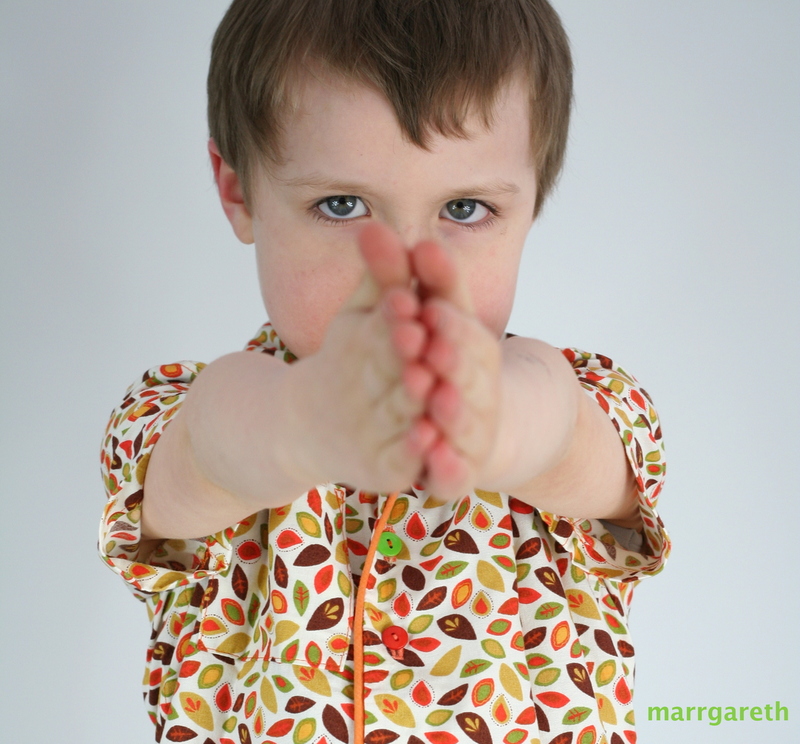 Both fabrics used are 100% cotton which makes the pyjamas very soft and comfortable. Shorts have sewn in an elastic which provides comfort. I used orange thread to finish the shorts. The orange piping tape and the buttons. A view on the shorts on the model. Let me know how do you like today’s post subject. Have a nice day and many good ideas. This is really well made !